Description: All US Military Branches. Created in 2000. 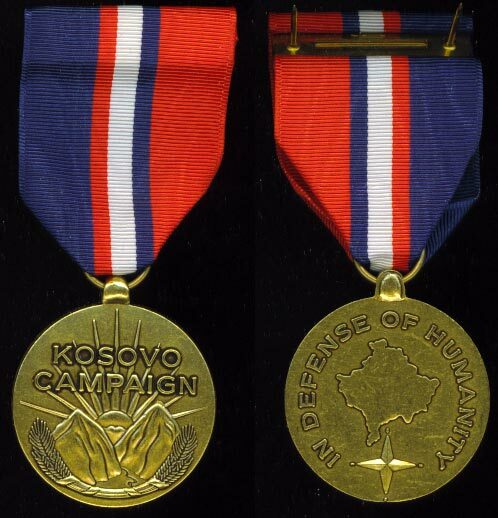 Awarded for service in Kosovo (Former Yugoslavia) starting in March of 1999.